Employee is the center of a business environment. Now they aren't tied to the workspace, workspace is tied to them. User-friendly, beautiful and intuitive interface. Elaborate ecosystem saves your time and money: quick deployment, no major support requirements, it's easy-scalable and stores your data securely and reliably. You're able to address your business issues from anywhere in the world: your data is always secure and steadily accessible. The architecture of our product has been engineered on a modular basis. It supports various communication protocol stacks and easily blends into heterogeneous environments of third-party infrastructures. GM-Box is the key to a functioning “versatile expert” who can work anywhere at any time without losing productivity. The only things needed are their smartphone and a nearest GM-Box. Smart workspace “recognizes” the user and loads their user profile. Autonomous centralized control system based on GM-Server allows enterprises to collect data on workspace usage, analyze it, and use it to optimize business processes and resource management. GM-Box is a perfect way to provide remote users with a convenient workspace. 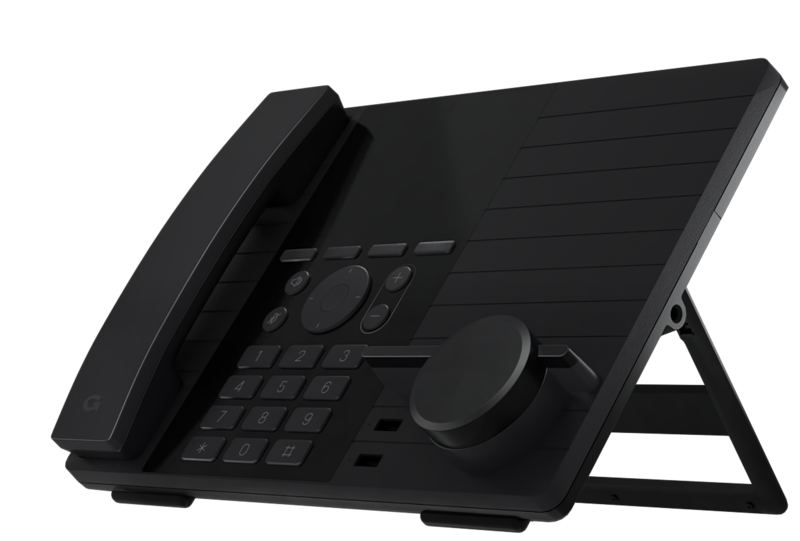 You get secure access to your in-house resources, embedded data encryption, remote IT support and an opportunity to always stay in touch by the means of embedded VoIP client. GM-Box easily connects to a corporate network via Ethernet, Wi-Fi, it can tether your smartphone or a USB wireless modem, while it also has its own embedded 3G/4G/LTE capability. GM-Box implements several layers of corporate data protection. Employees log in with their smartphones, and every workstation locks immediately after they leave. We've set up automated continuous OS integrity checks and peripheral devices tracking. As an additional measure of data protection, we don't store any of it on the device itself. You can also provide parties with fragmented information access if you don't want them to access the whole system. GM-Box is a multi-function communications hub, fit with everything needed for conferencing and presentations. We've built a VoIP client which provides trouble-free voice calls with everything you're accustomed to. We've provided GM-Box with a camera and an HD color display, which allows streaming and playing various content. GM-Box's open architecture enables third-party CRMs and other business applications integration, rendering all required data on-screen. Copyright © 2019 GETMOBIT LLC, All rights reserved.